This secret ballroom hideaway in one of Manchester’s popular New York style venues is the perfect place to indulge in an exclusive Christmas celebration with your team that will drift well into the early hours. 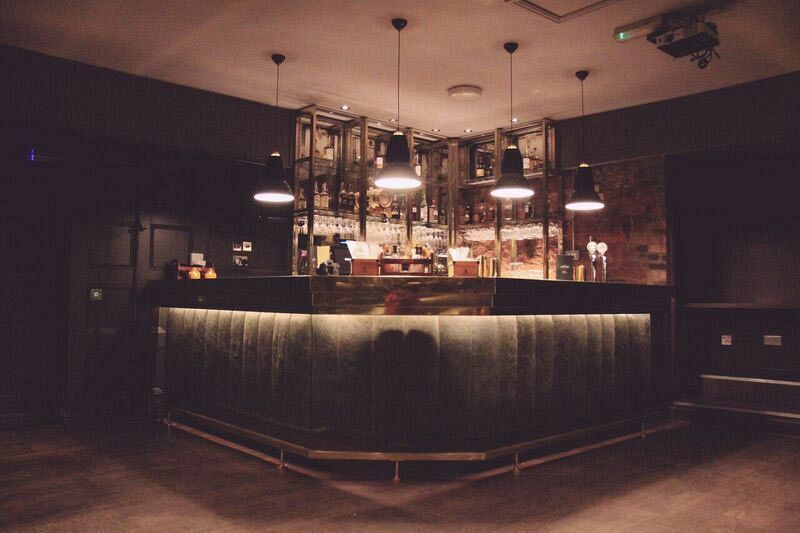 Based in the Northern Quarter, this excellent venue features cool and edgy interiors, where you’ll be able to purchase some drinks from the stylish bar and relax in the comfortable booth seating and chairs, where you’ll be able to unwind from the pressures of the working year. 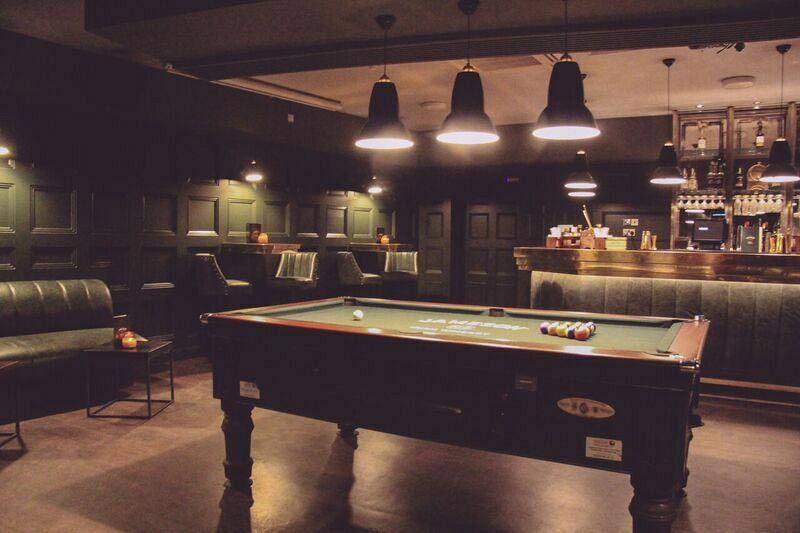 There’s also a pool table included in hire of this excellent venue where you’ll be able to challenge your friends and colleagues to a friendly game. The bar offers a brilliant selection of drinks including delicious cocktails, boozy milk shakes and some great, beers, wines and spirits. If you’re after food for your guests, then a tasty festive buffet menu can be arranged by the venue. Enjoy a delicious variety of food which includes options for vegetarians too. An HD projector screen and DJ facilities are also included for your festive event. What’s great about this venue, is that you’ll be separated away from the main venue and access to this stylish ballroom is available with a pin enabled entrance which ensures that your function is completely private. 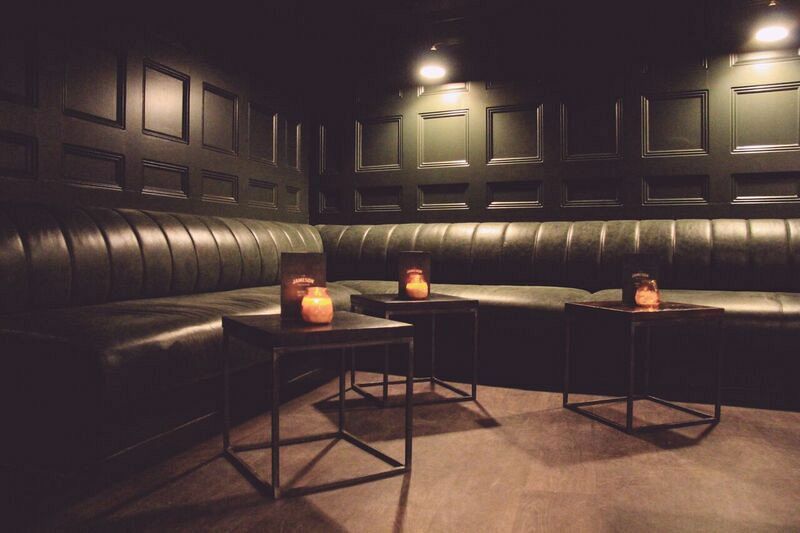 Book your exclusive event at this secret Manchester hideaway today!